Laila Food and Drink Guesthouse has free wi-fi in all the rooms and outside.The 7 private double rooms have aircon,en-suite.tv,fan and mini fridge. 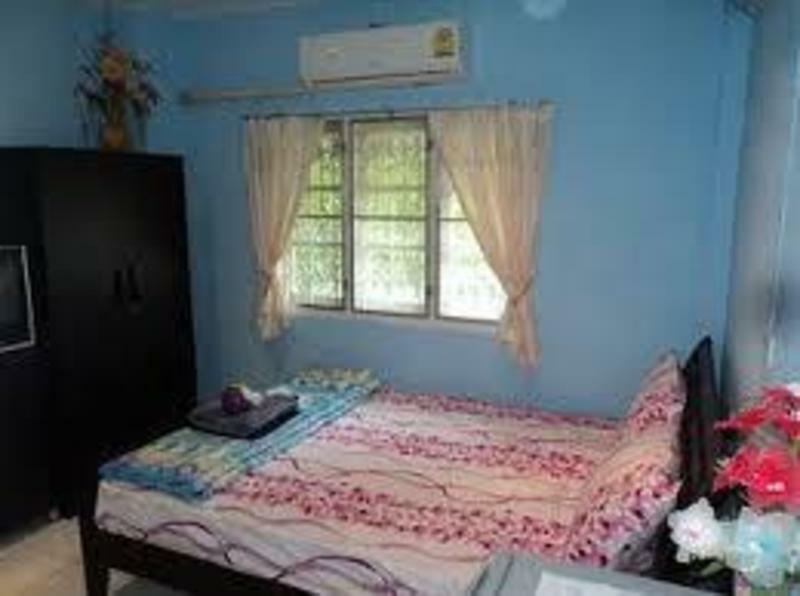 The 2 dorm rooms have fans,sockets and secure lockers.Breakfast is included in the dorm room price. There is self service in the kitchen area. Breakfast is served between 7am and 10am..Downstairs there is a chill out area with an information board with train/bus times/visa run info e.t.c. Outside is a bar and restaurant serving very cheap thai food.